This BBC documentary series is a must see before you see “FunkJazz Kafé: Diary Of A Decade (The Story Of A Movement)” to get a broader idea of soul culture’s global reach and inspiration towards musical innovation in Europe and America from the 1960s to today. It features top British soul pioneers who also appear in our film, “FunkJazz Kafé: Diary Of A Decade (The Story Of A Movement)” like Caron Wheeler (Soul II Soul), Carl McIntosh and Jane Eugene (Loose Ends), N’Dea Davenport (Brand New Heavies) and many more. Parts 1 & 3 BBC documentary are below. Enjoy! ….and let us know what you think about it. With soul as its guiding light, the first film tracks the extraordinary musical changes that post-war Britain experienced. After the staid, uptight 1950s, the UK blossomed into an all-night, neon-lit soul-athon. From groovy Soho basements to “Ready Steady Go” TV specials, the music rocked the nation through the 1960s… The first film in the series examines how these sounds seeped into our culture via imported US vinyl, the music West Indian immigrants brought with them and the electric performances of touring American soul bands. Our traditional reserve was soon broken down. In fact, the impact on the British – from London night spots to Welsh valleys, Newcastle music halls to the Belfast docks – was quite devastating. And it made bright young things like Georgie Fame, Eric Burdon and Van Morrison feel extremely good, permeating their own musical output. The growing mass of Sixties Mods also embraced black music and helped popularize transatlantic sounds in the UK. They championed former American GI, Geno Washington, and Jamaican expatriate, Jimmy James, who became our very own soul stars. Dusty Springfield, too, dominated the charts and disseminated her love of Motown across the UK via TV specials. As the Sixties progressed, soul moved from the British underground into mainstream society, becoming a meeting point for black and white, a catalyst for cultural and sexual exchanges. This passion for Afro-American and Caribbean music – and our interpretation of them – created a fertile bed out of which an original British soul sound would grow in the 1970s and beyond. Key Artists featured in this episode include Elton John, Van Morrison, Tom Jones, Solomon Burke, Mick Hucknall, Eric Burdon, Sam Moore, Georgie Fame, Jimmy James, Geno Washington, and Julie Driscoll. Soul was in a state of flux in the mid-1980′s. British pop-soul was certainly growing into a global force: Sade conquered the world’s coffee tables and solo George Michael demonstrated a far deeper understanding of R & B than was ever expected from a man last seen in tight shorts… But the majority of ’80s soul was too slick and all rather “Miami Vice.” What happened to the passion, the sugar-sweet rawness? In a classic British move, we looked back to move forwards. At Jazzie B’s “Africa Centre,” Barrie K Sharpe’s “Cat In The Hat” and illegal London warehouse parties, a multi-racial crowd shook to black American funk & soul sounds from the late ’60s and early ’70s. Similar to Northern Soul a decade earlier, “rare groove” was all about fetishizing vinyl and grooving to undiscovered classics. Out of this subterranean scene climbed a host of fresh UK talent. Principally, it was Soul II Soul who mixed sound system culture with hip-hop, soul and British pride. The world was theirs, although, the Brit Awards refused to acknowledge their global success. Other funky multi-racial acts followed in Soul II Soul’s wake – the Brand New Heavies and Young Disciples. Like these bands, Jamiroquai’s Jay Kay was also part of the rare groove scene. Drawing on the Seventies music of Stevie Wonder and Roy Ayers he created a creamy soul-funk sound that captivated millions. M-People also brought soulfulness to the masses with tracks like “Moving On Up.” New Labour grabbed it as a campaign anthem. 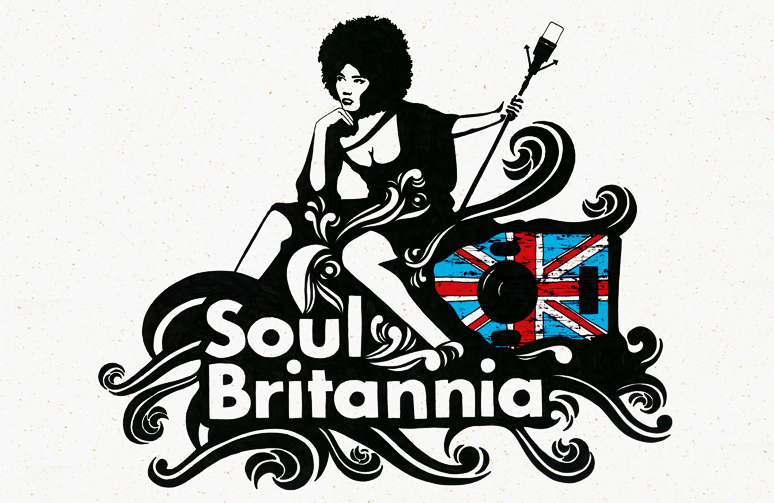 British soul was now good for you – it helped win elections. But not all was rosy in the UK soul garden. Solo artists working in the classic tradition, like Mica Paris, Beverley Knight and Omar, still struggled to get their dues despite their prodigious talents. The British audience still hadn’t learned to cultivate its own. Those embracing sampling, sound system culture and hip-hop were more fortunate than these traditionalists. Bristol’s Massive Attack used these very ingredients as the bedrock to their cinematic soul. So too did the Junglists and Drum N’ Bass brigade, utilizing the same tools to fashion a frenetic new urban soundscape. Nonetheless, British hip-hop suffered until it learnt to stop imitating American gangsta-rappers and focus on UK issues and our Jamaican connection. Crucially, it was dropping a little reggae in the mix that helped give British hip-hop – from Roots Manuva to Skinnyman – its identity and originality. At the dawn of the millennium, UK soul-inspired sounds exploded into a thousand different shapes – from Ms Dynamite to Corinne Bailey Rae, Joss Stone to Amy Winehouse, Lemar to Lethal Bizzle. Currently in a rude state of health, British 21st Century soul is a result of our unique multicultural society. Over 40 years, we’re moved from a nation of fans and imitators to one of black and white musicians creating original, cutting edge music. We’ve traveled from segregation to integration, as black American and Jamaican cultures have been embraced and become entwined with English life, changing our society forever. You get me? Key Artists featured in this episode include Amy Winehouse, Omar, Mica Paris, Lemar, Beverley Knight, Joss Stone, Jazzie B and Roots Manuva. « Chuck D. Of Public Enemy Narrates “FunkJazz Kafé: Diary Of A Decade” Movie!!! !